In Windows Operating system, the registry is one of the most important things. Everything that Windows do can be controlled from a registry tweak. When we use Windows installation for a long time, we install uninstall so many software. When we install a new software it adds some registry keys. Sometimes virus changes few Registry key. When we remove those software or remove that virus, the registry key added by it are still there. As result of all these changes, there are so many unused and outdated registry keys. It affects the computer’s speed and computer slows down. Some registry changes also make the computer unstable. To improve the performance again, we can use registry cleaner tools that can fix common registry errors In this post, I am adding 5 freeware registry cleaner tools that you can use to improve system performance. CCleaner is the most popular tool for improving Windows performance. It comes with so many features and costs nothing. CCleaner works on a version of Windows operating systems. This is more than a registry cleaning tool. I personally recommend this tool. It cleans temporary files, history, cookies save form data and many other things that slow down your computer. CCleaner also comes in a paid version but free version is enough to try. The paid version offers automatic browser cleaning, real-time monitoring, and priority support. Wise Registry Cleaner is a nice tool that can fix most of the computer problems related to Windows Registry. It can also remove registry items that are only consuming space and are no longer needed It also automatically backup deleted registry to restore in case of any problem in the system. 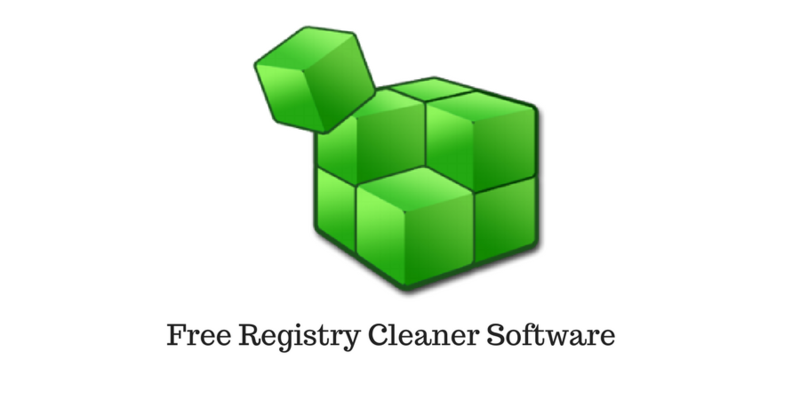 Wise Registry Cleaner also reduce fragmentation in the registry to make it more efficient. It comes with two modes: Fast Scan and Deep Scan. You can also run this tool from command line. 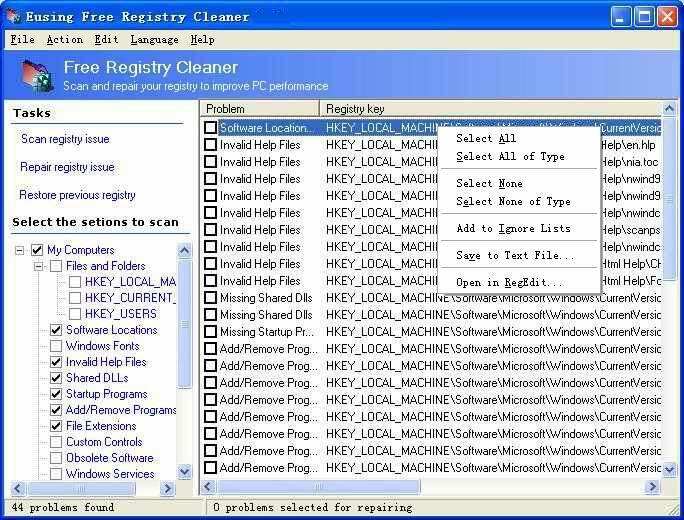 Eusing Free Registry Cleaner is a free registry repair software that you can use to clean and repair Windows registry. This tool is simple in use and can do so many crucial things related to Windows Registry. Registry problems are common, so you must have this tool to repair this kind of problems. It scans the Windows registry and lists all invalid and obsolete registry keys. Then it fixes all those problems and makes your computer faster. Auslogics Registry Cleaner is also a nice tool. It is available on the version of Windows and works fine. This tool comes with a wizard that will guide you throughout the whole registry cleaning process. It also automatically backs up registry changes during the repair process. You can disable this if you want. 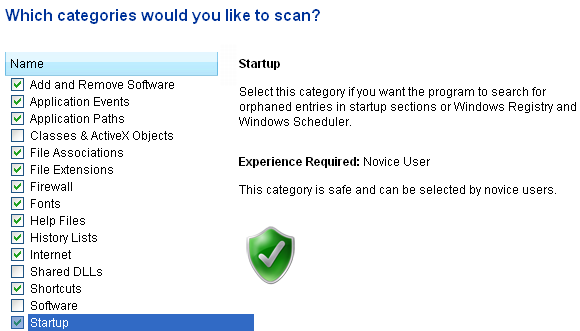 Later, you can also go to Rescue Center to revert changes made by Auslogics registry cleaner. Easy Cleaner is also a nice tool with minimalistic graphics. This tool is old and has not been updated for long. Along with registry cleaning, it also allows you to find duplicate files and clean shortcuts pointing to nowhere. These are some nice tools that you can use to optimize windows performance. If you are a windows user, you must have any of these tools. Because using Windows for a long time affect Windows performance. Use these tools and share your views with us.